You need a steady stream of prospects who are interested in doing business with you coming through that marketing funnel. Granted, you’d like them to buy your product the second they find you, but even when they’re looking for the type of solution you offer and have the means to pay for it, immediate action is a rarity – especially for B2B businesses. Lead generation takes a lot of work – whether it’s investing time and resources into a strategy like content marketing, or putting marketing spend towards online advertising. So it’s a shame to see most of your hard work go to waste when only a few your hard-earned leads buy what you’re selling. That’s where lead nurturing comes in. While lead generation is key to driving leads to your digital doorstep, lead nurturing is fundamental if you want to convert a higher percentage of those leads into customers. Provide Value From Day One. Building a relationship with prospective buyers from day one until they are ready to pull the trigger is critical to your marketing and sales success. Start the lead nurturing process from the moment your potential customers first become aware of you. Most often, this first interaction will be through your website. You want your site to be your online marketing hub, so you better be sure that it’s optimized effectively. The longer your visitors stay on your site, and the more often they return, the more likely they are to buy from you. A big reason for this is TOMA (Top Of Mind Awareness). When they do make a buying decision, they will think of you first. Victory! So you want to give them a good reason to spend time on your site and an even better reason to return often. Make your website easy to navigate. Have clean, simple, uncluttered design. Forget about over-rated graphical bells and whistles that would win design awards. Focus on keeping things simple. There’s nothing worse than a site that’s graphically stimulating and functionally illogical. An effective way to provide that value is with useful written or video content. Building a blog with content related to the products you sell will not only help you nurture prospects but will be a beneficial resource for current and future customers. For example, let’s say you own a business that professionally stages seller’s homes. Wouldn’t people interested in staging their home to sell also likely be interested in articles about choosing a great real estate agent and tips for selling their home? Of course! And if they look at you as a go-to source for great content on that topic, who do you think they will turn to when they are ready to update their listing photos or get their house on the market? You! So once they’ve discovered your blog or website, how do you get them to come back to your website? Email marketing is a proven tool to help you do this. Using our home staging example, let’s say your ultimate goal is to get them to invest in your full-service staging package. Give them the option to sign up for your email list and make special offers for a two hour consultation or credits towards rental furniture. Lower the barrier to entry to entice your leads to take the next step to buying. 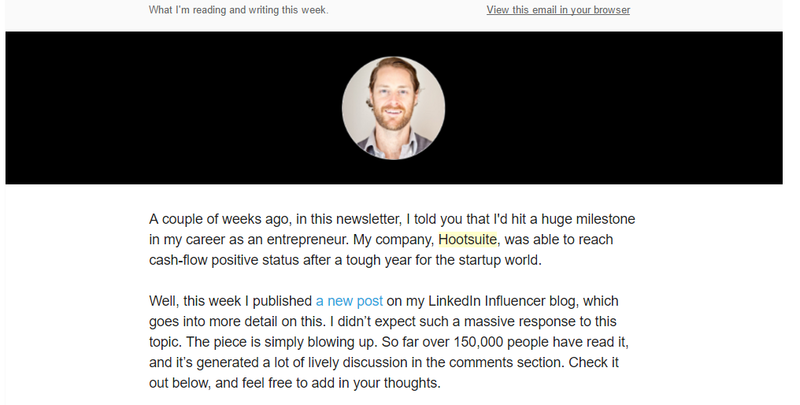 When you have a relevant blog article you think members of your email list will appreciate, send a personalized note and teaser via email. Email marketing should be used as a channel to not only build brand awareness, but also to drive qualified traffic to your website. Getting and keeping prospects’ attention is a critical part of the lead nurturing process. Granted, some will never buy. But those that do buy often require that you contact them multiple times, not just once or twice. According to Online Marketing Institute, it can take anywhere from 7 to 13+ touches before a prospect is ready to buy. So contact them regularly (and thoughtfully) through email and social media. Building trust is another critical part of the lead nurturing process. Even if they are seriously in the market for what you offer, chances are they are suspicious. They may have been burned before. Plus, they understand they will have to part with their hard-earned money. They want to get value out of their investment. They want to do business with a business they trust. So you absolutely must go out of your way to build that trust. How? People trust givers. Early in the lead nurturing and relationship building process, give to them with no demand in return. We’ve already discussed content marketing and email marketing. Both of these can be used to give, and to build trust. Harness the power of social proof. Keep in mind that people are more likely to trust you when they are aware that you have a lot of happy, satisfied customers who have already invested in and advocated for your product. 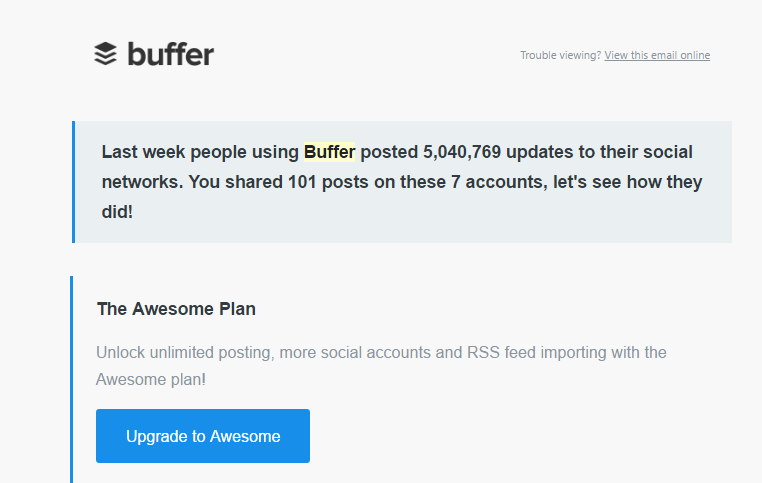 For instance, Buffer uses social proof (5M updates by their users!) to increase trust in their brand. Then they turn the conversation to the user and their activity. Social proof paired with success metrics making it easier for their entry-level users to pull the trigger and upgrade to a better plan. When you’re trying to build trust and gain a potential customer’s attention, it’s easy to fall into the trap of thinking you need to brag about yourself and your achievements. Don’t talk about you right off the bat. Talk about them. Harness the power of persuasive, reader-centered copywriting. On your website, in your content pieces and in your emails, focus on the reader, not on you. Gain and keep their attention and build trust by talking empathetically to them about them, about their problem and how you can help them solve it. Address their goal and how you can help them reach it. Only when you have done this do you want to talk about you, to offer “proof” that you can help them. 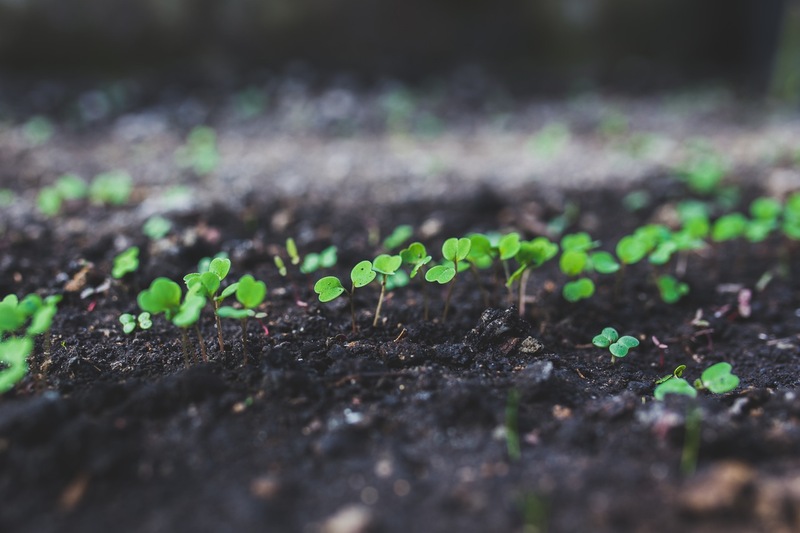 Remember that marketing and lead nurturing success won’t happen overnight. It’s going to take time. It’s going to take work. But it will be worth it. When your potential customers contact you or visit your website for the first time, chances are they won’t buy right away. But if you successfully stay in contact through a variety of media – email, social, etc, — offer value, build trust and stay top of mind, when they are ready to take the plunge, there is a very good chance they will buy from you!